Fairfax, VA – Kevin DeTurris and Brian R. Sanderson have joined Blankingship & Keith, P.C. as counsel, strengthening the firm’s litigation team and services. “We are pleased to welcome Kevin and Brian to Blankingship & Keith,” said William Carey, managing principal for the firm. "Their wealth of litigation experience, specifically in the areas of real estate and health care, enhances our firm's capabilities to better serve our clients in these industries." Blankingship & Keith, PC, is pleased to announce that Bill Casterline, a partner in the firm’s real estate group and chair of the firm’s creditors’ rights group, has been elected as a Fellow of the American College of Real Estate Lawyers (“ACREL”), the nation’s most prestigious honorary organization for real estate lawyers. Bill is the only lawyer from Virginia and one of only 40 lawyers nationwide elected to the organization this year. Election to ACREL is by invitation only after a rigorous screening process. We are pleased to announce that eleven of our attorneys have been named to the 2014 Virginia’s Legal Elite. The litigation team here at Blankingship & Keith regularly represents clients who have suffered traumatic brain injuries (TBI). TBI can cause a host of physical, cognitive, social, emotional, and behavioral effects, and is referred to as the “invisible injury,” because its often-devastating impacts are masked by the absence of any obvious continuing physical trauma. Fortunately, we have seen some promising developments in diagnosis and treatment of TBI. 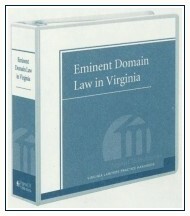 A recent and notable eminent domain action is the topic of an article by Paul Terpak and Laurie Kirkland, attorneys in the Eminent Domain and Condemnation practice at Blankingship & Keith, on “Limits on Consideration of Mandatory Dedications in Eminent Domain” in the fall 2014 issue of Fee Simple, the newsletter of the Virginia State Bar Real Property Section. Chidi James, Partner at Blankingship & Keith recently spoke at an event in recognition of Martin Luther King, Jr. Day. Open to the public, the community service was held at The Lord Fairfax Community College in Warrenton, VA.
On February 4, 2015, Chidi James, Partner at Blankingship & Keith, will be moderating a discussion at the Fairfax Courthouse about civility and professionalism. Organized by the Virginia Trial Lawyers Association and Virginia Association of Defense Attorneys, the conversation will explore how to be strong, respectful and professional in the adversarial process of litigation. FAIRFAX, VA (Feb. 12, 2014) – Blankingship & Keith, P.C. is proud to share the news that Virginia Lawyers Weekly has ranked five of its 2013 legal settlements among the top 50 in the Commonwealth. Additionally, VLW ranked three of the firm’s cases among the five largest personal injury settlements in the Northern Virginia area. The new must-have Virginia Lawyers Practice Handbook Eminent Domain Law in Virginia is being released under the Editorship of Blankingship & Keith's own Paul B. Terpak; he is also the author of the "Trial" chapter in the handbook.